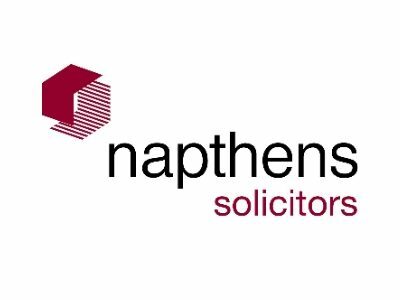 A growing, dynamic legal practice, Napthens provides a wide range of services to meet the needs of businesses and individuals and deals with clients locally, regionally and nationally from offices across Lancashire and Cumbria. With a tireless commitment to quality, Napthens has developed a reputation for delivering a truly client-focused service. Offering strength in depth across our range of services, we ensure all our clients receive the personalised, tailored advice they need from specialists in their field. With around 210 staff including 30 partners, Napthens is able to provide true strength in depth across a range of areas. We believe that our competitive advantage is that we are led by former City firm advisers who bring their expertise and experience to advising businesses throughout the region. Our corporate team is the largest in Lancashire, comprising 12 individuals who collectively work together to deliver many high value and highly complex transactions for our clients’ benefit. With a banking and insolvency partner and a tax specialist, Napthens is the only firm in Lancashire to have such dedicated, specialist resources. Our capability has been recognised with the award of Corporate Law Firm of the Year at the North West Business Insider Lancashire Dealmakers Awards 2012 and Law Firm of the Year at the Lancashire Business View Red Rose Awards 2013. Be clear about what you want to achieve, plan for it and revisit your plan frequently to ensure you are on track. Be prepared to take advice from professionals who will help you on your journey. Lancashire has everything needed to grow a successful business. People with great attitude, fantastic enthusiasm, widely available skills and good communication networks. Boost is providing a wide range of vital help and advice to businesses throughout Lancashire to support their successful growth and development. We see Boost equipping current and future entrepreneurs with skills to develop their own ideas and successfully fulfil their potential.